First of all, this is not a Starbucks Pumpkin Spice Frappuccino. Looking for enough sugar to send your body into a diabetic coma? Please look elsewhere. It was Labor Day weekend 2018 and we were trying to have a yard sale. We were also starting our Labor Day Party early by day drinking on the porch while I sold my old Kelty backpack, nail clippers for pets and various piles of jackets and boots. I say we were attempting to have a yard sale as nearly every individual who wandered into our yard would rather gawk at our garden then buy my crap. 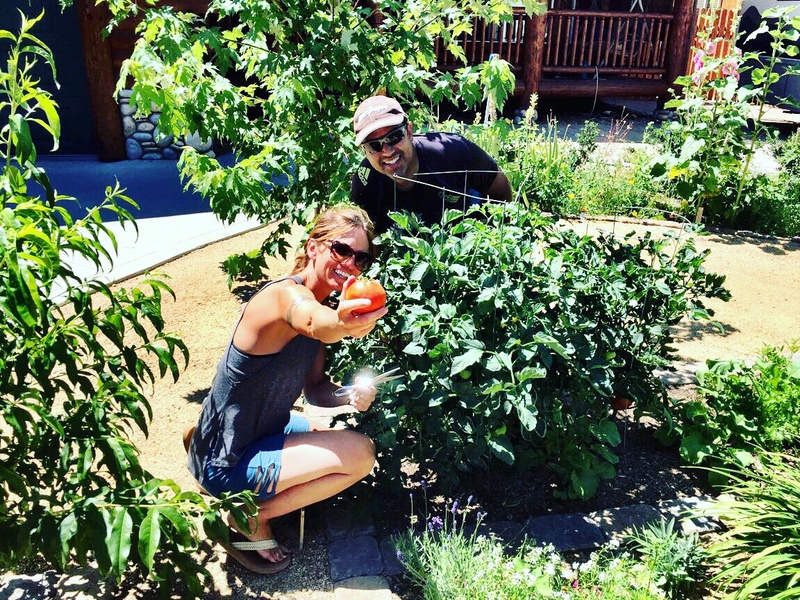 “OMG your tomatoes!” Which would have been a little more impressive if our tomatoes were reddish but the hundreds of them are still extremely green and autumns chilly nights are approaching extremely quickly as the days get shorter. I’m starting to panic and also google green tomatoes more then is healthy. So if yard sale weekend is finished then I guess it’s Pumpkin Spice everything season. I mean unless you ignore sugar as we do in our family. Yeah, you won’t see us at the Starbucks drive-thru anytime soon. 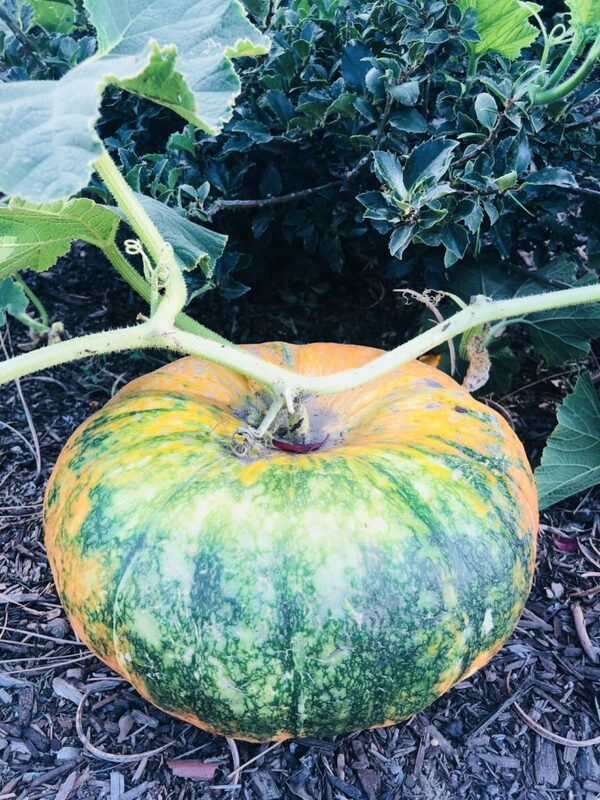 One other big event Labor Day weekend was our massively loaded apple tree lost a YUGE (As DT would say) branch and we literally lost half of our crop of Granny Smiths a month early. Oh, poop. So obviously this first week of officially autumn, tis the season to put apples in everything. Throw them in a salad! 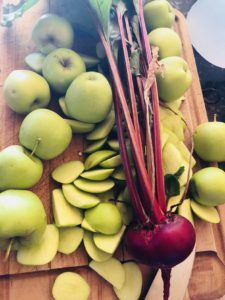 Apples are great in coleslaw! Grate some apps into bran muffins! Suffice to say, we are eating a lot of apples in the coming week. 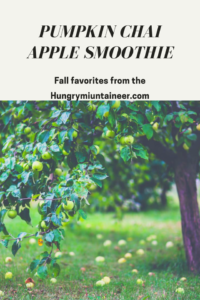 I love a juice or a smoothie nearly every morning before I go mountain biking or trail running and this smoothie is a great early morning autumn treat. My original idea was to do this as a juice but there is not enough liquid in the pumpkin to juice it. If you love homemade coconut milk then a suggest you substitute my Homemade Coconut Milk. If you do like your smoothie sweeter then add a little agave to sweeten it up. Combine all in a nutribullet or blender with a little ice and serve. Your autumn inspired breakfast is ready! 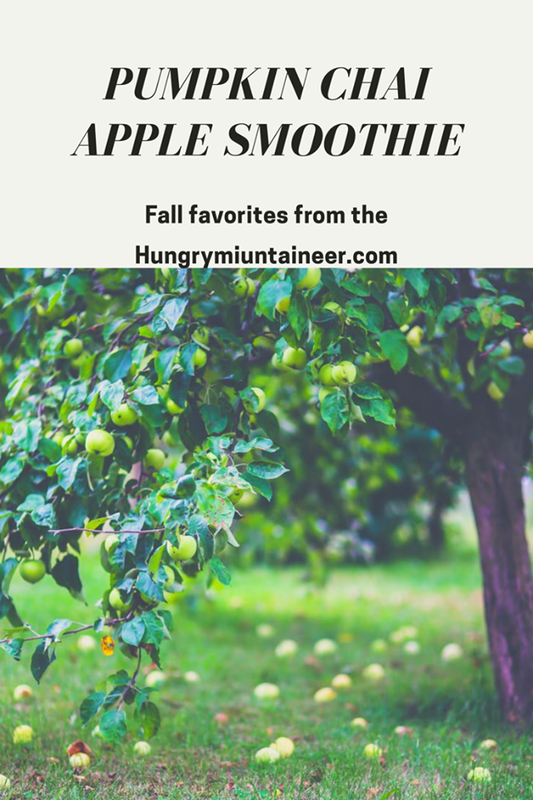 This is a great smoothie and a beautiful pumpkin! Thanks so much for sharing with us at Full Plate Thursday and have a great week!